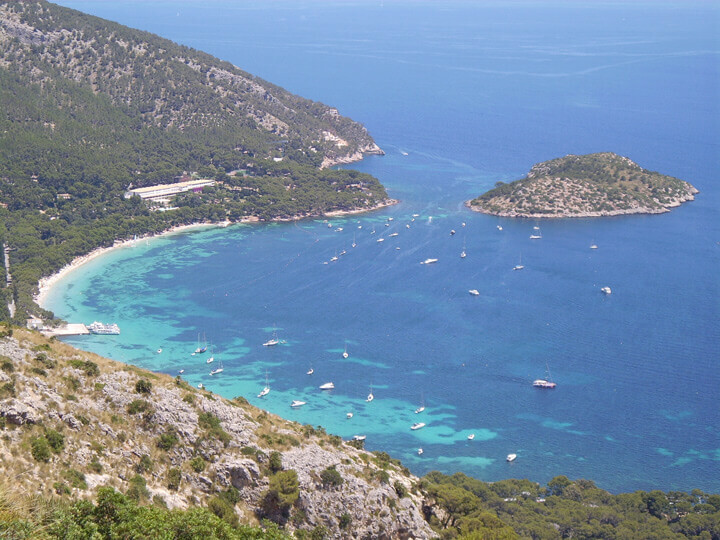 Formentor is a narrow, 12 kilometers long and about 3 kilometers wide located on the northern tip of Mallorca in the municipality of Pollensa. 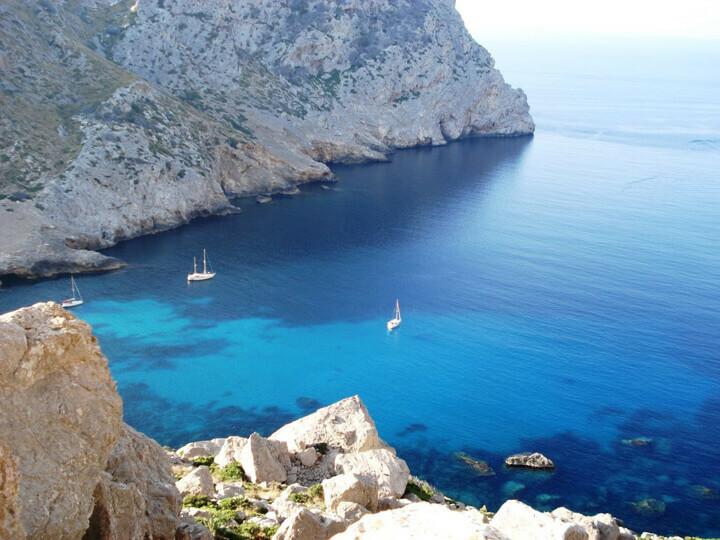 It is one of the most visited and emblematic of Majorca, thanks to the beauty of a landscape that combines sea with mountain places. The branches of the trees almost touch the water. The landscape surrounding the lighthouse of Formentor is simply stunning. One place you can not miss.